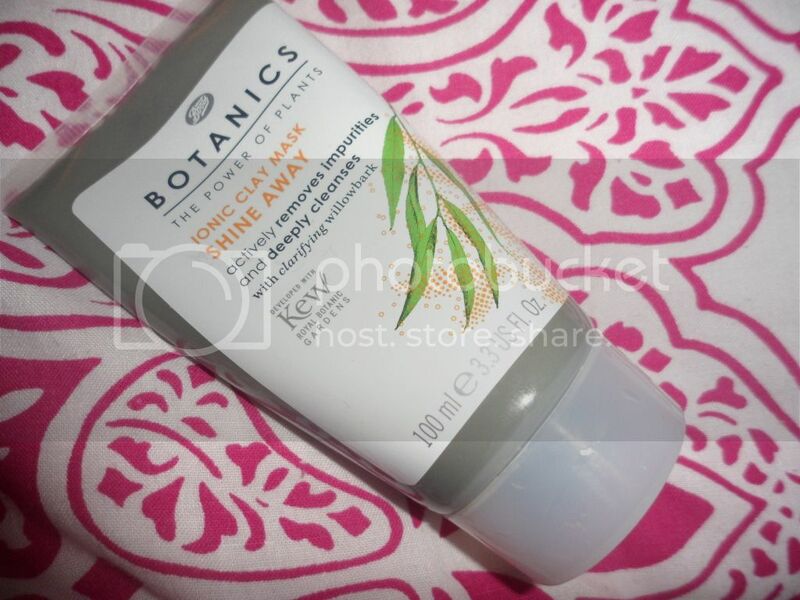 I've tried so much of the new Botanics range by Boots, and really enjoyed using most of the products. I picked this up as I've not used a clay mask in such a long time and my skin was in need of a little boost. This mineral enriched ionic mask aims to absorb excess oil and detoxify the skin, by banishing excess sebum, pollution and old skin cells which can clog up pores. The clay exhibits a negative electrical charge, which helps to draw out deep-rooted impurities without drying out the skin. The active ingredient in this mask is willow bark which is a great natural clarifier. The bark of the willow tree is a natural source of salicylic acid which helps to refine skin texture and target imperfections. The mask is a nice thick consistency which is easy to spread onto the skin. After about five minutes, the mask dries out and tightens. I really like this kind of mask as I feel like I can feel it working, and when it came to washing it off, my skin felt far deeper cleansed than it would have been with my usual cleanser. It does make a huge mess though, I'm still finding bits of clay that I managed to splash onto the bathroom wall! After using the mask, my skin felt softer, smoother and looked more matte. I would really recommend this mask if you have oily skin, however for blemishes, I much prefer the Fresh Masks by Lush.